Being a protest singer is an art. It’s not just swearing and ranting. It’s getting your views across in a well formed and entertaining way. There are not many left, certainly not as articulate and talented as Jay McAllister – Beans On Toast. Beans has released an album every year on his birthday (1st December) since 2009’s ‘Standing On A Chair’. This year will see the release of ‘Cushty’. That’s some back catalogue to go at and we get a 15 song set list covering all era’s with a brand new tune thrown in for good measure. When he does get political it’s with a smile, a kinda ‘you’ve gotta laugh about it whilst getting rightfully angry’ attitude. He is eminently watchable. As well as the anger though there are some seriously endearing love songs. Check out the stories behind ‘I’m Home When You Hold Me’ and, what is in effect a follow up, ‘Jamie & Lilly’. It’s truly heart-warming. 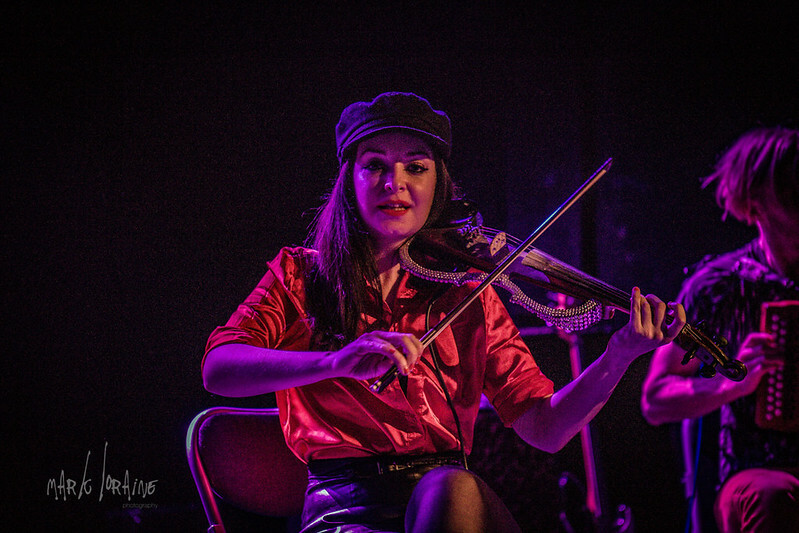 ‘1980’s Sagittarius’ is brand new and all about Skinny Lister’s whirling dervish that is Lorna Thomas. New single ‘Taylor Swift’ is the perennial ‘who would you like to go for a beer with’ question. The answer is your mates. Every time. This is the first time I’ve seen Beans play with a band (which includes Skinny’s Max Thomas). 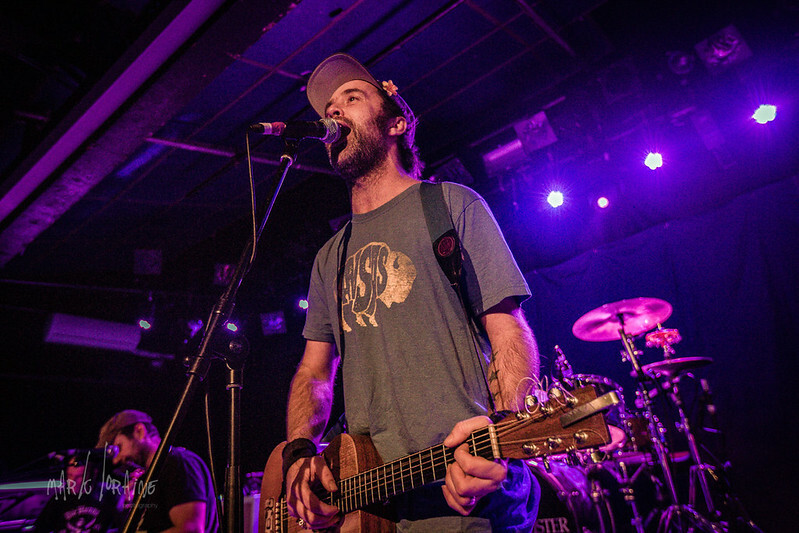 He is equally at home with the fleshed out sound as he is when it’s just him and his acoustic guitar. He doesn’t really bother with an encore. ‘I’m gonna walk over here then come straight back’. I’m always a fan of that. It’s an immaculate performance from an artist who deserves a lot more recognition than the mainstream give him. Props to Radio X (a beacon amongst the dross) for a featured artist slot though. 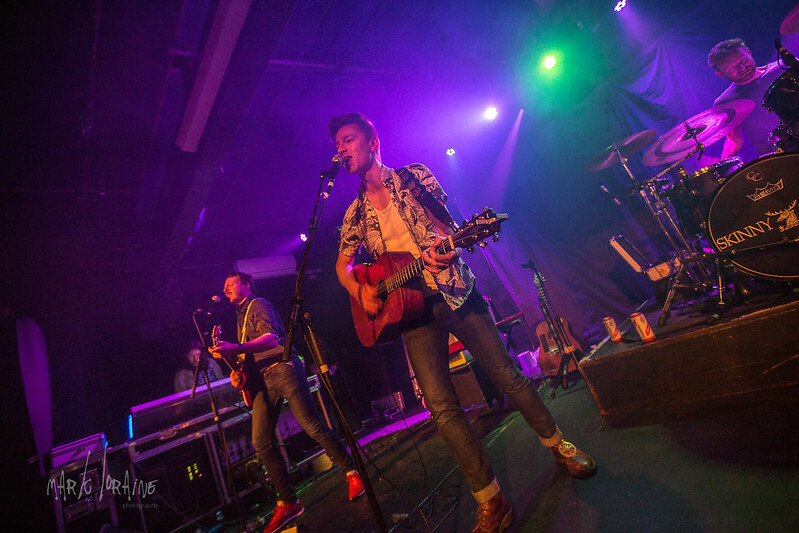 I believe this is Skinny Lister’s third Leadmill show. It’s certainly the third time I’ve seen them there. The first was early 2015 (I think. It may have been late 2014) in the small room playing to about 40 people. April this year the small room again but to a sold out crowd. They’ve now, quite rightfully, been elevated to the main room and it’s a full house. 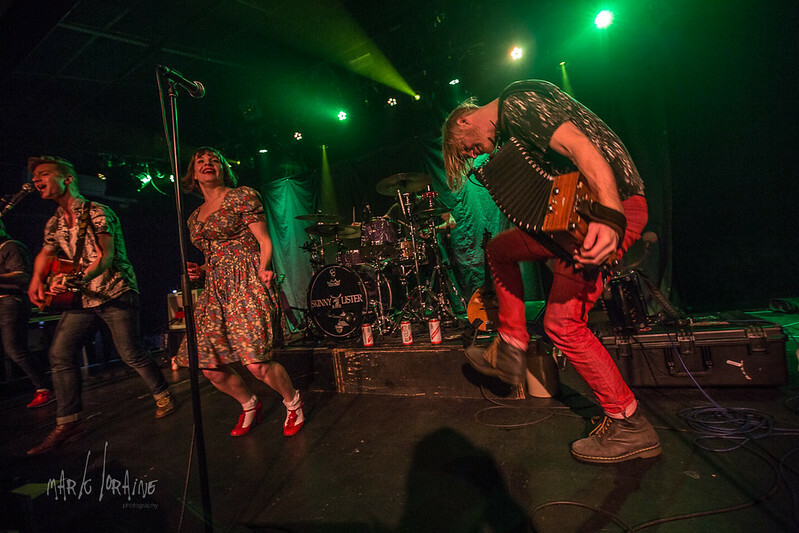 It’s awesome to see a band progress and there are none more deserving than Skinny Lister. What they bring is fun. A consummate live performance that is sheer joy to be a part of. 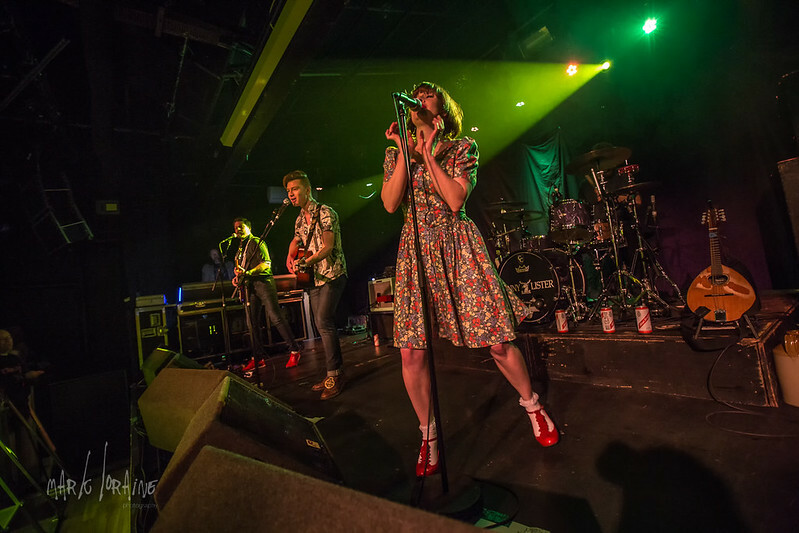 And with Skinny Lister you do get the feeling we’re all in this together. Third album, ‘The Devil, The Heart And The Fight’ is now over a year old and a fourth album has been hinted at for next Spring. 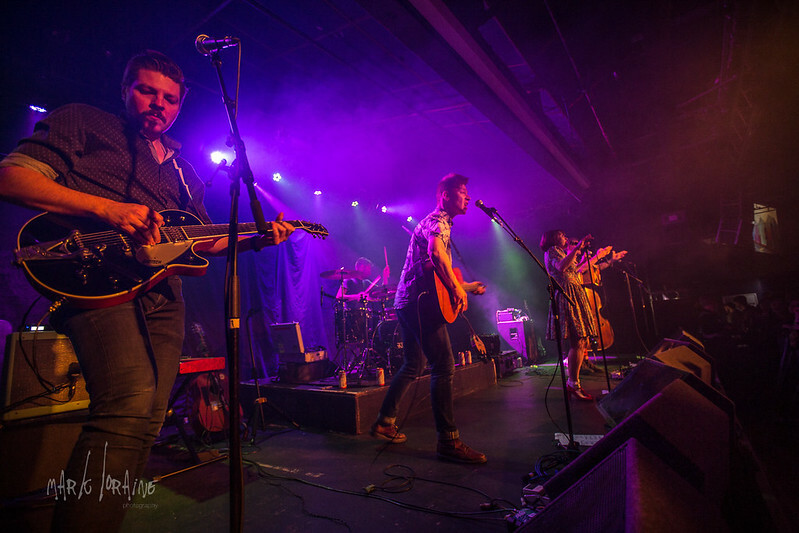 There is a quality throughout their entire output that many acts could only dream of and brand new songs are welcomed as warmly as old favourites. They skip onstage and launch straight into the frantic ‘Wanted’, opening track from ‘The Devil…’ The place is already one giant, sweaty mosh pit. As with Beans it’s an all era set. 18 songs ranging from ‘If The Gaff Don’t Let Us Down’ (opening track from debut album ‘Forge & Flagon’) up to brand new songs ‘Christmas Calls’ and ‘My Life, My Architecture’. Punk shanties mostly about drinking, love, having a good time and drinking. They dip into Beans territory with ‘Thing Like That’, a song about Brexit which is even more relevant than when I first heard it and I fear will remain relevant for some time to come. “Throw away the world to get your country back”. ‘Christmas Calls’ is brand new, out now and a genuine attempt to have a proper Christmas song take the once coveted Christmas Number One spot. It’s a beautiful song that evokes all those cherished childhood Christmas memories. Get on it. 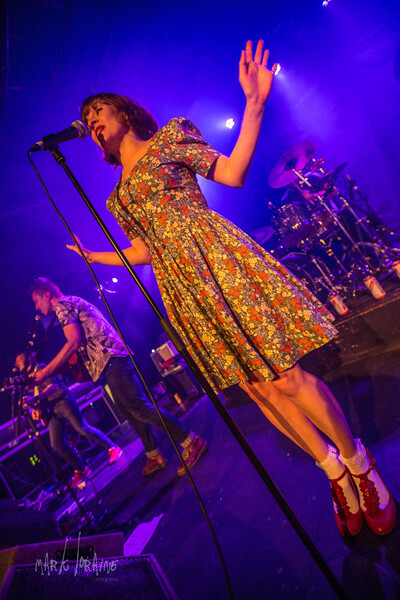 Skinny Lister were once awarded the hardest working band accolade. They should win it every year, not just for the relentless touring but also for their live shows. It’s full on. Lorna is the natural focal point, centre stage and never once still. 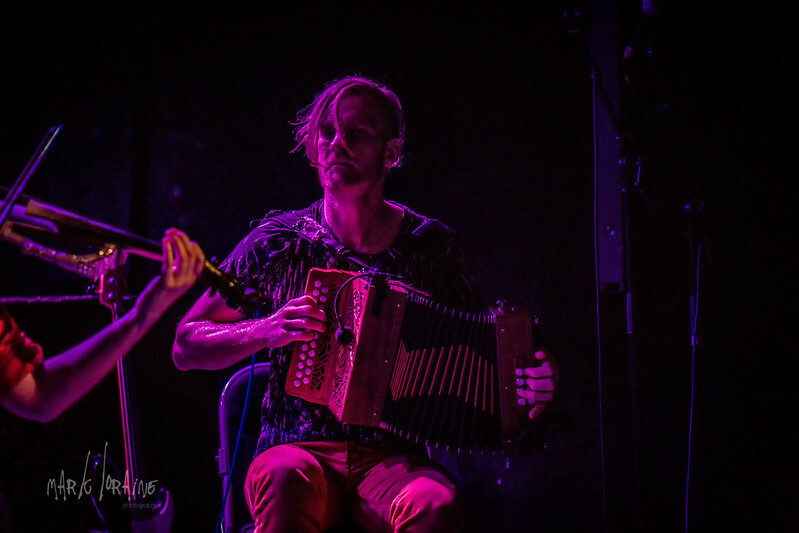 Flanked by husband Dan (vocals/guitar/songwriter) and brother Max (accordion/mandolin/ sing-a-long conductor), both giving everything they’ve got. Not one member of the band leave anything on stage. Scott Milsom’s handling of the double bass is phenomenal and at the opposite side of the stage is Sam Brace. Sam is just cool as. He leads the crowd through the triumphant ‘John Kanaka’, the too-rye-ay’s are getting louder and longer every time I see them. He is also a highly underrated guitarist. (The opening licks of ‘Beat It From The Chest’ maybe the most gorgeous thing ever). Behind them is Thom Mills on drums, pounding, flailing and never missing a beat. 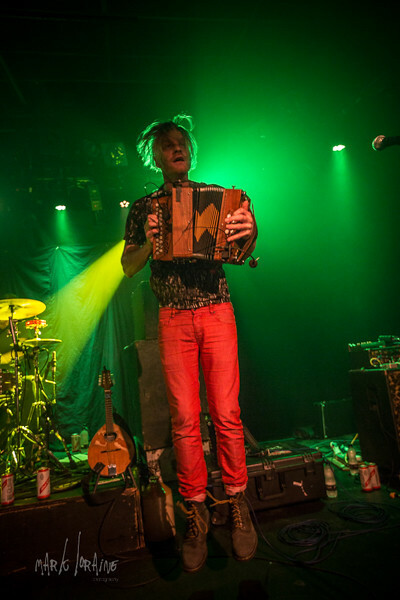 Pogues comparisons will always abound but whereas The Pogues live could be chaotic to the point of the whole thing collapsing in on itself Skinny Lister are as tight a band as you will find. To play with such wild abandonment whilst keeping everything on point takes some serious talent. 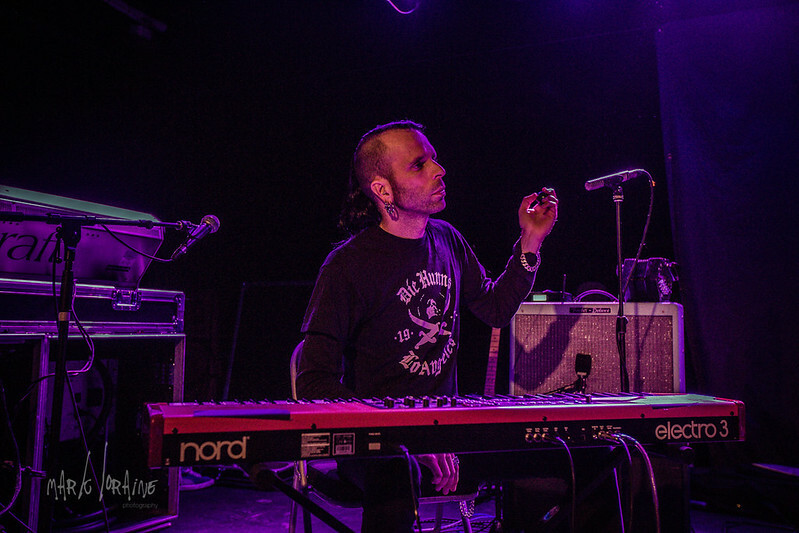 Beans joins the band on stage for first encore, 2015’s joint venture ‘This Christmas’ and the night ends with ‘Six Whiskies’. It has developed into a natural show closer. Strangers shoulder to shoulder or wrapped round each other, glasses raised in one massive, glorious ‘I declare my undying love for you’ swaying sing-a-long. The band virtually drowned out by the Sheffield crowd. It is truly something to behold. 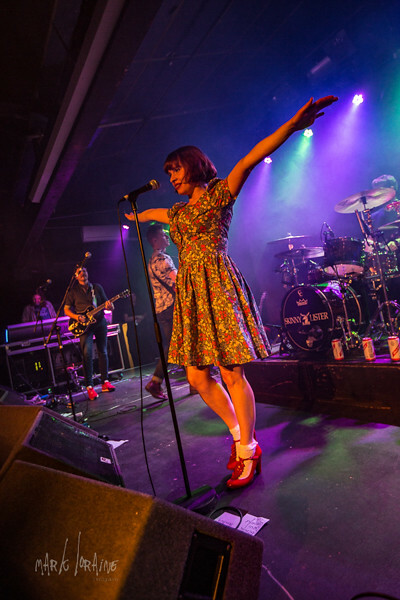 As soon as a Skinny Lister gig is done I want to see them again. Immediately. It’s an experience everyone should enjoy. On several occasions. I can’t wait for the next time. 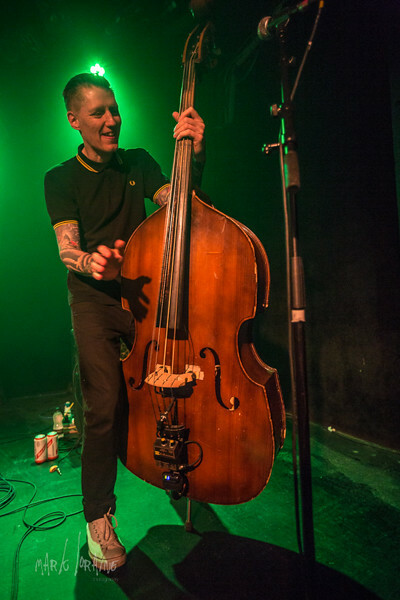 See the full Skinny Lister + Beans On Toast photoset here.